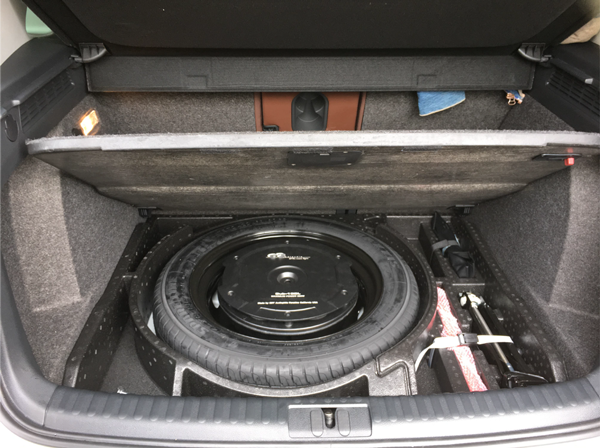 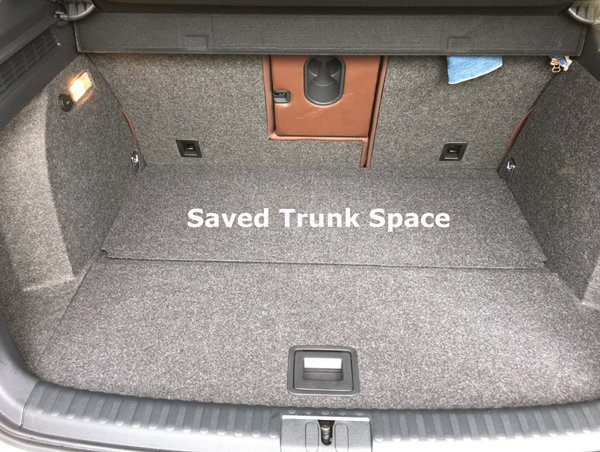 Are you looking for superior bass without losing your trunk space? 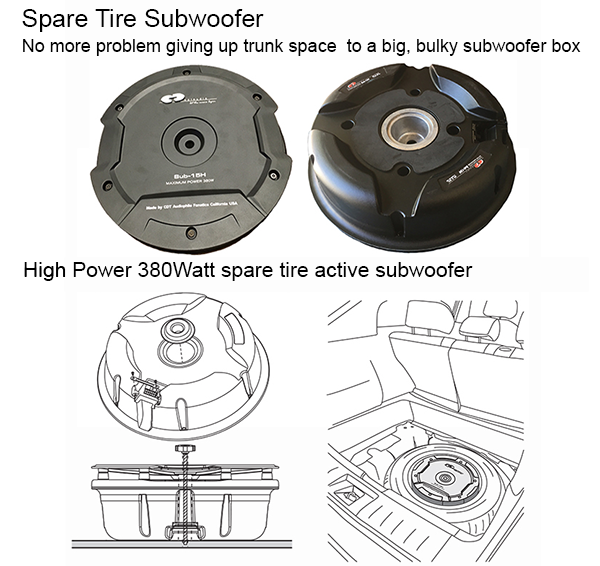 Get ready for a superior active spare tire subwoofer. 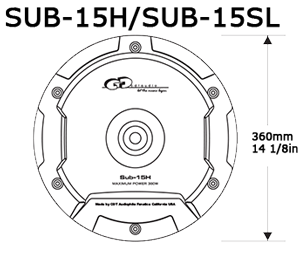 CDT Audio is introducing the new SUB-15H and SUB-15SL High Power 380Watt spare tire active subwoofer. 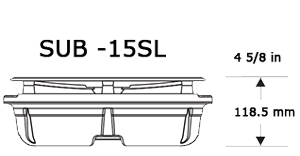 Plug and Play connection for easy installation. 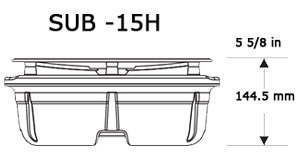 Remote control provided for volume control, low-pass control and phase switch. 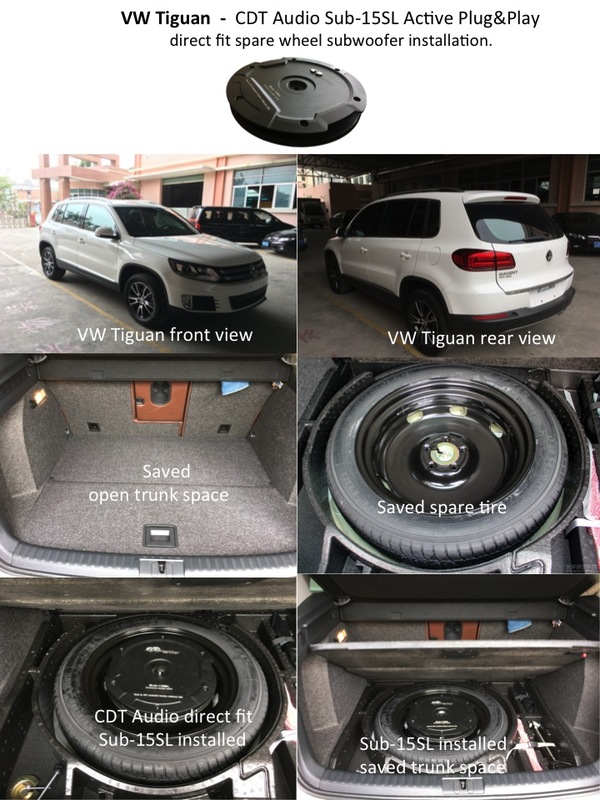 Subwoofer Drivers: Dual 5.3" X 8.4"